Testing can be applied to application where coating is applied to a metallic substrate to prevent corrosion, reduce abrasion or reduce product contamination, or all three. 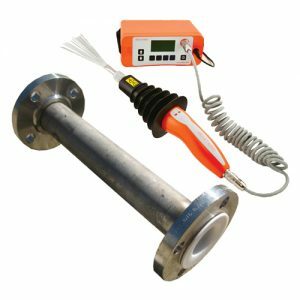 This test method is a non-destructive detection and can identify pinholes, holidays, bare spots or thin points in protective coatings applied for corrosion protection over metal (conductive) surfaces. Holiday detectors are suitable for production pipeline coating operations, tank work and structures. The detection of unacceptable discontinuities may lead to the prevention of premature coating breakdown and corrosion therefore detection of discontinuities is important in ensuring the integrity of the coating is maintained. The applied voltage used when conducting holiday testing can have significant impact on the coating, therefore due consideration should be made when determining how the testing should be conducted.